Dragonflies enjoy habitats that have shallow, slow running fresh water and plenty of aquatic plants. Ponds, lakes, canals and marshlands are all perfect environments for British dragonfly species as they have a huge abundance of fauna for the larvae to hide in beneath the water surface, which they will then climb up when it’s time to emerge as a majestic adult. There are different species that prefer different chemical properties. For example, the azure hawker can be found buzzing near peat bogs due to the acidity of the environment. Dragonflies (both adult and larva) can tolerate a small level of pollution in the water, but contamination levels are becoming an issue for British species. 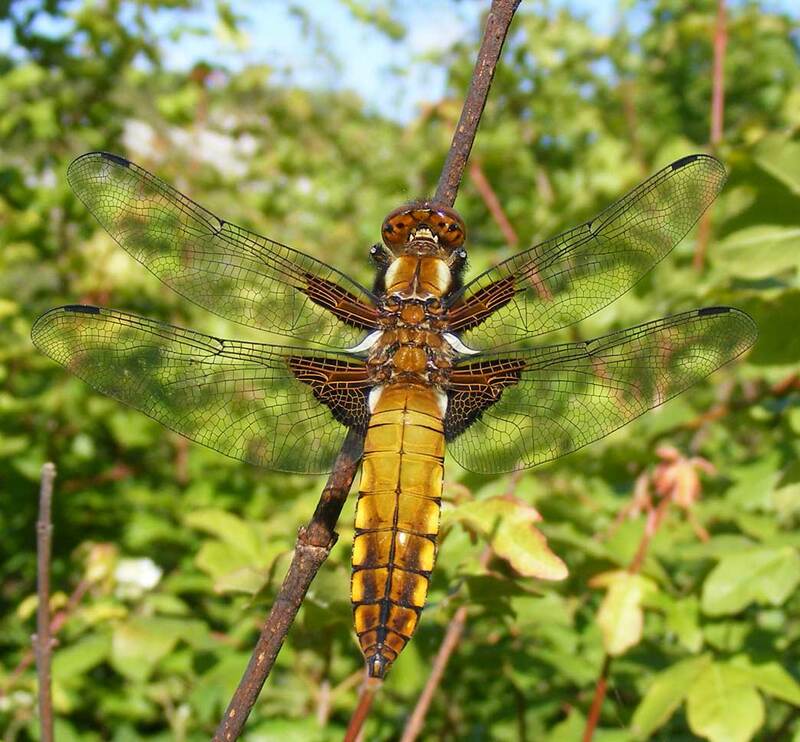 A survey by the British Dragonfly Society indicated that 39 per cent of species were in decline. An increase of agriculture, changes in land management, and urban and industrial development can all decrease the quality of water for dragonflies and their freshwater neighbours. Similarly, overstocking of ponds, livestock and also the damming of rivers and waterways can have a catastrophic effect on populations. Dragonflies can help to indicate the health of an aquatic habitat and are a vital link in the food chain. But rising temperatures are luring southern species ever further north, adding too much competition for the resident dragonflies and putting even more pressure on fragile ecosystems.